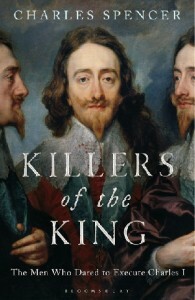 Naseby settled the Civil War … in June 1645 the King’s principal army was eliminated. The King’s cabinet and incriminating papers were captured and within a year, the war was over. The victory established Parliament’s right to a permanent role in the government of the kingdom. Naseby was a victory for the army ‘new modelled’ – Britain’s first regular, red-coated soldiers and is, for many, the birth place of the British Army. As a national monument, Naseby field is unmatched. Despite the addition of farm buildings and the enclosing of fields, the landscape remains intact and has not been built over. There are no uncertainties over the location or orientation of the battle. Today’s visitors can stand on the ground where democracy was won, confident of how the action unfolded. but it was not until Naseby that Parliament would establish its defining role in British liberties. The Naseby Battlefield Project’s mission is that visitors to this iconic heritage site have access to the best facilities, information and interpretation. Now is the right time to begin the next stage. The Naseby Battlefield Project aims to enhance visitor facilities at Naseby battlefield - You can help by becoming a Friend or Benefactor. The vision of the Trustees is that the Naseby Battlefield Visitor Centre will be an information resource about the Battle itself, the Civil War, the political and social history of the era, the rural environment in the 1600s and what life was like at the time. It will place the English Civil War in its proper context in the evolution of modern parliamentary democracy and by doing so put Naseby alongside Hastings, Bosworth and Culloden in contemporary thinking. The Naseby Battlefield Project Trust is undertaking a feasibility study and exploring options for a Naseby Battlefield visitor experience, with a view to applying for a grant from the Heritage Lottery Fund to build a battlefield visitor centre.